The tires are where the rubber meets the road, and as such they require regular TLC. But even with routine tire rotations and alignments, after so many miles, new tires are unavoidable. When your tires become worn down, it is important to get new ones. Our Honda service center in Ridgeland, near Jackson can help with tire installation, balancing, and much more. Worn down tires can be very dangerous. Not only can they cause a loss of traction, but they can also cause blowouts. When you begin to notice your tires are in bad shape, it is important to visit our service center as soon as possible for new ones. Below is a list of a few ways drivers can tell they need new tires. Tread depth: The tread on your tires should never fall below 1/16 of an inch. Drivers can use a penny to test the tread depth. Insert a penny upside down (head-down) into the tread, if Lincoln’s entire head is visible, you don’t have enough tread. Cracks in the sidewall: This one is easy to see with the naked eye, as tracks or cuts in the sidewall of the tire is a sign you need new tires. If these cracks look serious, it is time to get a new set. Vibration: When driving, there will always be vibrations, but if there is an excessive amount, you’ll know. When the vibrations become too much, your tires may be misaligned or unbalanced, or your tires could be in bad shape. Whatever the case, take your car to the shop and get it checked out. 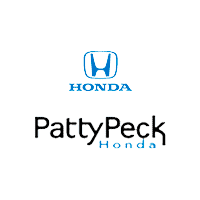 At Patty Peck Honda, we want our shoppers to feel at home. We’ve been in business for over 30 years, and we truly do enjoy helping each and every one of our customers the best we can. With our convenient hours, shoppers can come to our dealership as early as 7:30am Monday through Friday. We are located just about 20 minutes north of Jackson MS, so come on by! If your vehicle needs a new set of tires, visit our online Honda tire store!